National Youth Congress helps youth to win. By Hearing their voices,by Building programs with them, by Teaching them to live and lead, and by Helping them develop skills, NYC is helping build youth and communities across America. Our vision is to see youth better integrated into the life of our communities and to see them established in meaningful careers. The NYC program, based on real research and real experience, helps communities establish a dynamic process where youth are energized, heard, trained, and established. Our three phases: Youth Voice, Youth Lead, and Youth Go‹help youth and mentors understand themselves and how to make a difference in their communities. The program is designed to develop youth workers and youth leaders simultaneously. To provide youth with a framework for developing leadership and career skills. 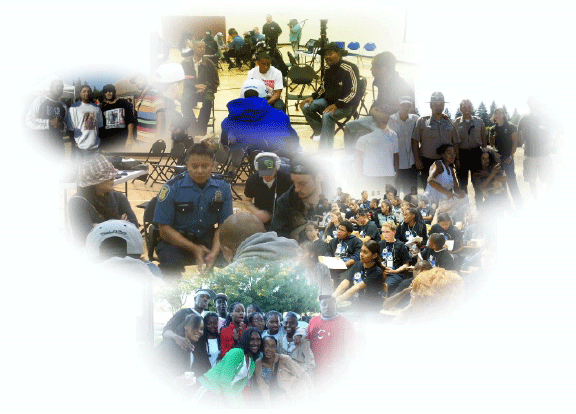 To provide youth with an understanding of service learning and community service. To provide youth with managerial and job readiness skills.